As the Waking Windows music and arts festival has progressed in its nine years of existence, more and more nonmusic events and showcases have become part of its lineup. From the Page Burner spoken-word series to Annie Russell's No Chill Comedy Showcase, such presentations make the three-day Winooski hubbub much more than just a music festival. The newest nonmusic showcase at this year's edition — which runs from Friday, May 3, through Sunday, May 5 — is a collaboration of the fest and tele-, an online art magazine founded by Waking Windows performer Beth Head, aka Alexandria Hall. The nebulous mag derives its content from a curated selection of artists who create work from a conceptual prompt. And you could be one of the next featured artists! Vermont-based artists (or anyone who plans to attend Waking Windows) will have the opportunity to throw their hats in the ring — or rather, the traffic circle — and submit to be one of 10 chosen to compose a new piece for the festival. If interested, follow the submission link on tele-'s website. But act soon, because the submission deadline is Friday, February 22. Once the group of 10 is selected, one artist will create a work based on a given prompt. The next artist in succession will use the first artist's piece as their prompt. And so the chain of artistic inspiration goes. "It's basically a game of telephone, but with art," said Waking Windows cofounder Paddy Reagan by phone. Once the chain is complete, the artists will unveil a live presentation of their works as part of a showcase during this year's Waking Windows. "I think it's these other things that are the cooler elements and round out the festival," Reagan said. 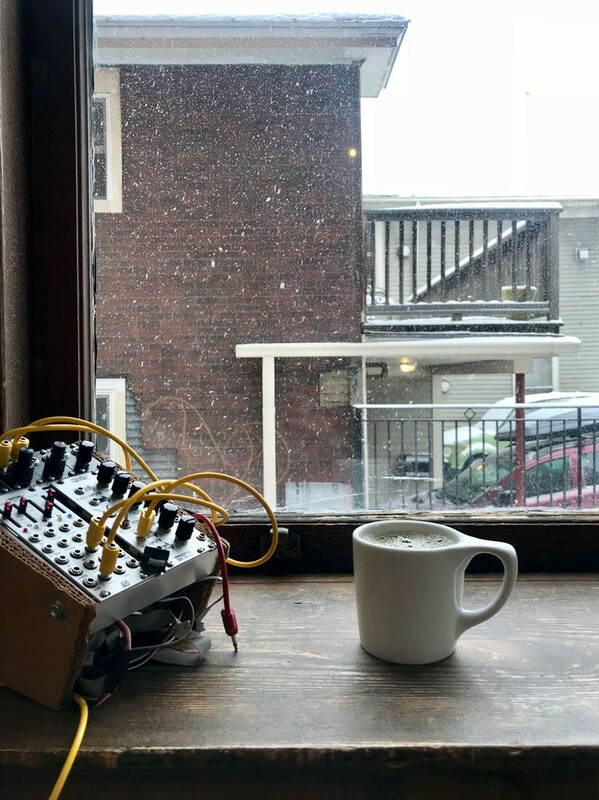 If you popped into Maglianero Café for a morning jolt on Wednesday, January 30, you may have encountered an unusual sight for so early in the day: live music courtesy of experimental artist Gahlord Dewald. Most folks looking for a hot cup of joe probably weren't expecting to walk in on a high-concept performance piece on their way to work. And that was pretty much the point. "It's a ridiculous time to be having a show," Dewald noted by phone. But he also pointed out that morning music provides accessibility to those who can't make it out to shows in the evening. The performance was part of a new monthly series at the café called AM Frequency, which, according to Dewald, is meant to add to "the surreal artistic atmosphere of Burlington" and keep it a "vibrant place where magical things happen." The next installment is Wednesday, February 27, at 7:30 a.m. Dewald will perform Alvin Lucier's 1969 avant-garde piece "I am sitting in a room." The conceptual performance involves creating a tape loop, onto which a series of spoken words is recorded, played back and rerecorded over and over again. Because every room has its own natural resonance, eventually the words become completely washed out and stripped to their tonal essences as the process repeats — at least in theory. "You're basically using the room as a gigantic EQ," Dewald explained. And given the South End coffee shop's capaciousness, the room is bound to serve the process well. If you're looking for another jolt in your morning routine, this might be just the ticket. Last week, I previewed a special event called A Midwinter Night's Dream, a collaboration of Radio Bean and the Skinny Pancake at Burlington's Main Street Landing. Radio Bean proprietor Lee Anderson gave us the bare-bones details of the February 16 happening but wanted to keep most of the show a surprise. And damn, am I glad he did, because I don't think the experiential evening would've been as fun if we'd known exactly what was going to happen. Here are just a few morsels to whet your appetite should a similar collaboration happen sometime in the future. First, silent mimes in striped shirts, suspenders and white masks greeted guests as they walked into the atrium just outside the performing arts center's Black Box Theatre. 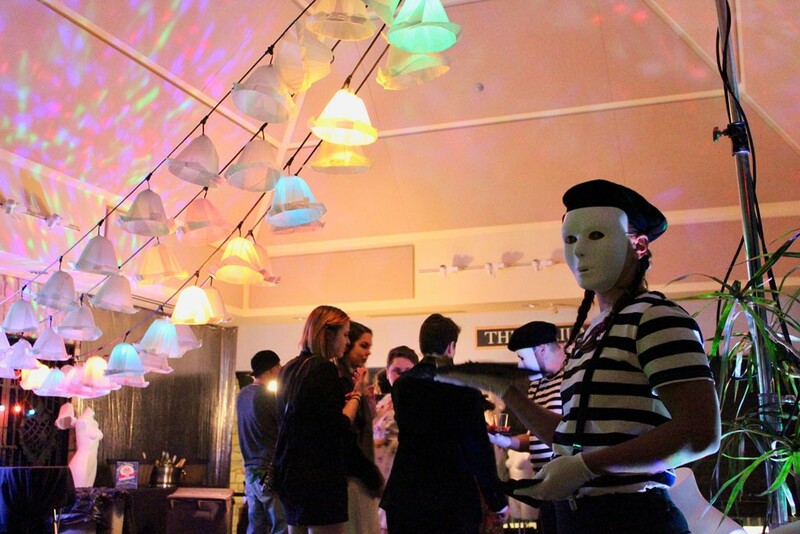 Soft, multicolored lighting illuminated the space as musicians from Arc Iris played odd, muted synth-funk music. Watching the mimes, who passed around unusual-looking hors d'oeuvres, and festively attired attendees who embraced the masquerade theme, I felt like I was at a cocktail party in the Capitol district from The Hunger Games. Soon, the theater itself opened up. It was adorned with bare trees growing down from the ceiling, art installations and more futuristic lighting. Throughout the evening, full-body puppets, stilt-walking unicorns and an animatronic, fortune-telling disembodied head made appearances. Dreamlike effect achieved. But the most impressive element was Henry Finch & the Capacity Ensemble. The Burlington-based group delivered one of the most impressive sets from a Vermont project I've seen in some time. It was chaotic, full of feeling and bizarrely captivating. If you haven't had a chance to check out the group's tripped-out, orchestral, screamified rhythm-and-blues tunes, you better get on that. Looking for a local radio program to get into? Then check out Kyle "Fattie B" Thompson's new set, "The Bangers and Mash Radio Podcast," airing Wednesdays on the Radiator 105.9 FM. The debut broadcast was scheduled for two weeks ago, on February 6. But that was the evening of a traumatizing ice storm, so Thompson's inaugural broadcast was moved to Wednesday, February 20, at 10 p.m. The program will focus on the art of the mashup, delving into its history and showcasing creations from artists like DJ Z-Trip and local hero DJ A_Dog, the latter of whom passed away in 2013. 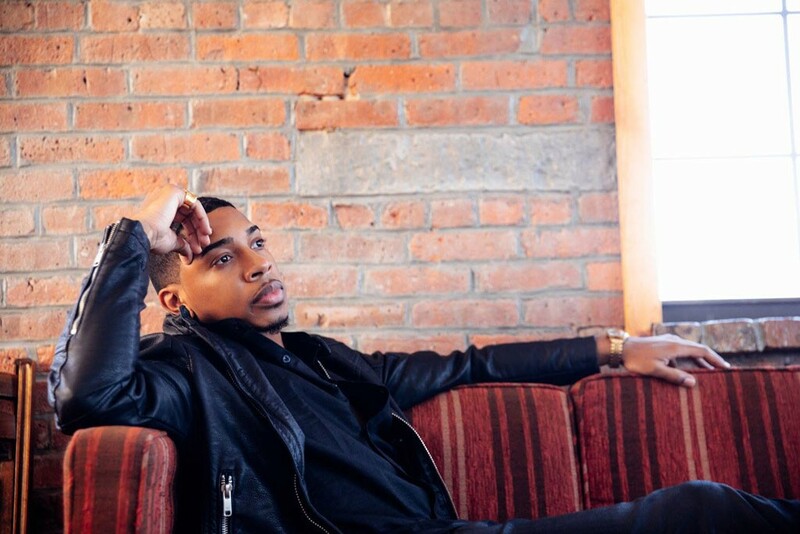 Local jazz-heads frothing at the mouth in anticipation of this year's Burlington Discover Jazz Festival should be pumped to catch Christian Sands and his trio on Friday, February 22, at the Mahaney Arts Center at Middlebury College. The Grammy-nominated pianist is one of this year's BDJF headliners, and you have an early chance to see why he's been given one of the top slots. Rina Mushonga, "In a Galaxy"